Gareth Farrell of East Coast FM reports Irish Water is to start installing meters in County Wicklow in the coming weeks. 360-thousand water meters are already in place around the country and it’s estimated that more than a million will be in use by the end of 2016. Irish water is promising to give homes at least 14 days warning before meters are installed. They will generally be fitted between 7:30am and 7:30pm, Monday to Friday and before lunchtime on Saturdays. Each installation will take from anywhere from 15 minutes to two hours, depending on the work to be carried out. Meters will be placed in a box under the public footpath outside the homeowner’s property. The public are reminded that Irish Water installers will always carry ID cards, wear branded uniforms and will never ask to enter people’s homes. 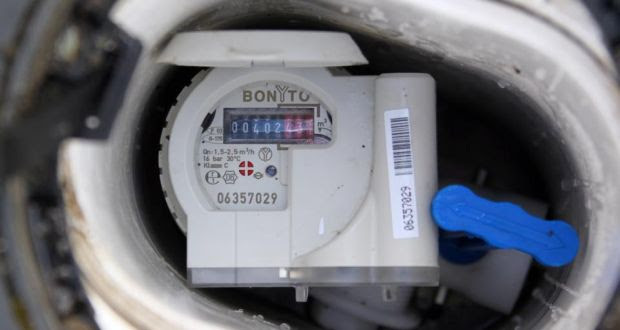 There are no upfront costs for meters so the first bills will be sent out in January 2015. A charge of half a cent for every litre used will see water in Ireland becoming dearer than in most European countries. Essential maintenance works may interrupt supply to Main Street Arklow Town, Coolgraney Road and surrounding areas of Co. Wicklow. Works are scheduled to take place from 11pm on 27/08/2014 to 6am on 28/08/2014. Essential maintenance works may cause supply disruptions to Upper Dublin Road, Johnstown South, Ballymoney, Old Templerainey and surrounding areas of Arklow Town. Works are scheduled to take place from 10am on 25/08/2014 to 6pm on 26/08/2014.